1) Patrick and Robb discuss storytelling games, miniatures, kickstarter risk and more. 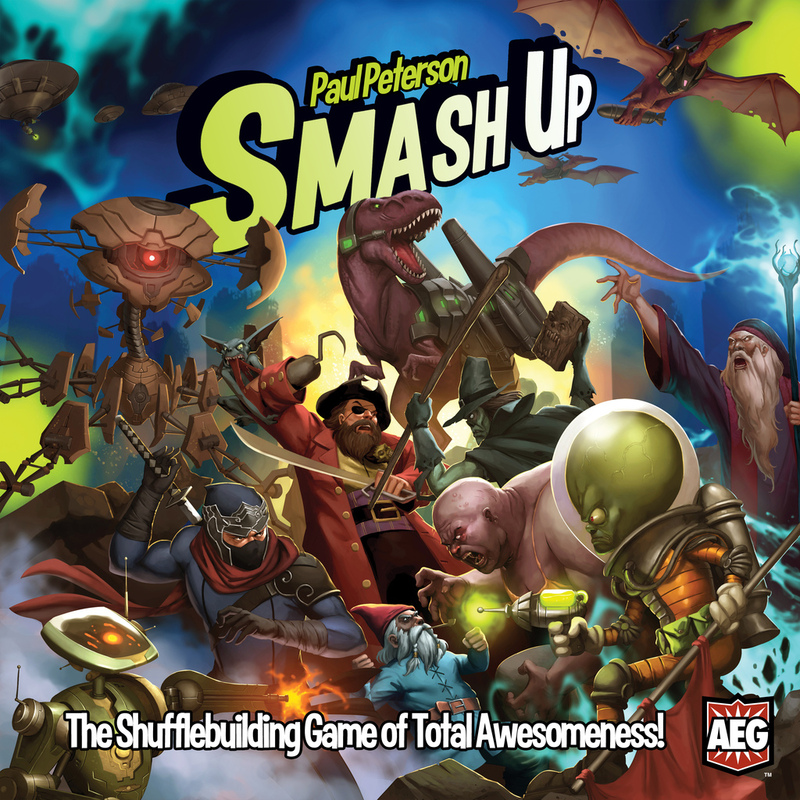 2) The guys and the girls review Paul Peterson’s Smash Up, a pop culture card game that allows you to play all sorts of crazy faction combos in order take over the world. 3) The guys and the girls talk about how competition can help you learn about and becoming closer to your significant other. Posted on July 18, 2013 March 4, 2015 by inyourearmediaPosted in PodcastTagged boardgames, comedy, couples, games, hobbies, king of tokyo, relationships.